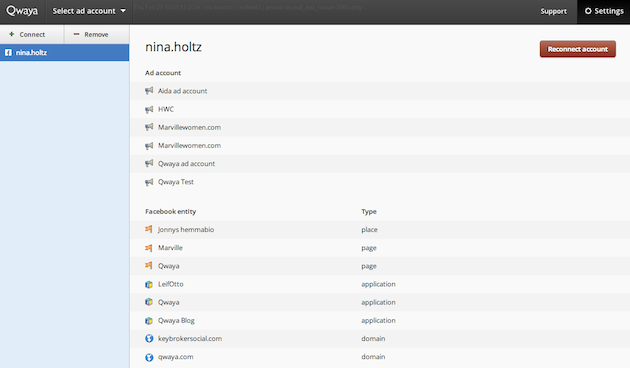 In Qwaya you will see the pages and apps that your Facebook user account is an admin of. Click on ‘Settings’ and ‘Facebook connections’. In Facebook Connections below Facebook entity you can see the pages and apps you are an admin of. To become an admin of a page or an app the admin of the page/app needs to add your Facebook user as an admin. They can do this in the page setting page or in the app settings page on Facebook. 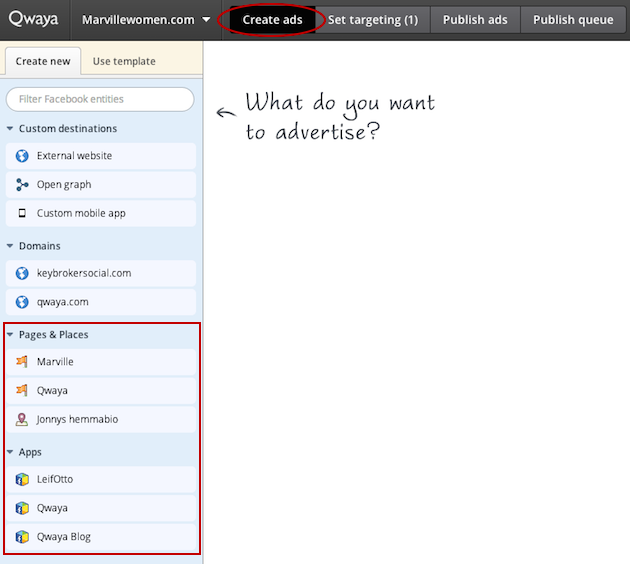 When you are an admin of a page or an app you will also see them in the left hand sidebar in the ‘Create Ads’ tab in Qwaya. If you manage multiple pages or apps you can search in the search field in order to find the page or app you are looking for.